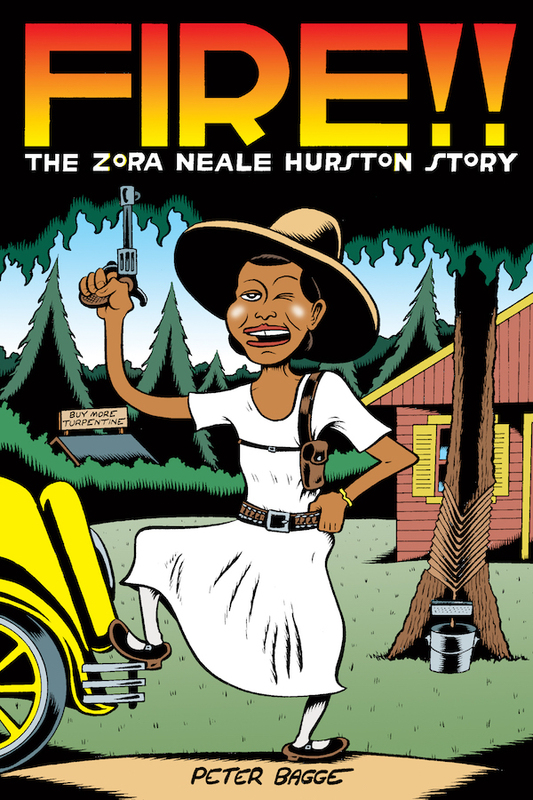 This is Peter Bagge's second biography of a formidable female political/cultural figure. I liked the Margaret Sanger book quite a bit. Bagge's a very humane writer in that he can portray unflattering elements of human nature without in any way condemning the circumstances that brought that person there. That's an intriguing element to bring to historical study of any kind, but particularly the individual profile. 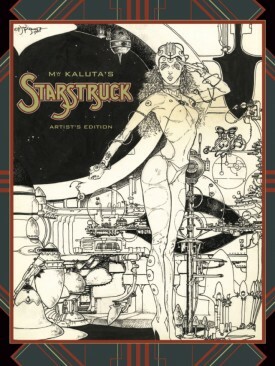 Well, this has to be damn beautiful, and it's probably going to sell out a couple of times. I'm dying to see one. This is an interesting if not exactly staggering numbers-wise week in comic-book format comics. I can't imagine I'll be picking up Super Sons as I'm just not in the market for most superhero books after 45 years of reading them. I list those here because I liked both those characters, and that's not exactly an easy thing for a publishing house like that to accomplish with all of the relaunches. Rich Tommaso continues on with his attractive-looking She Wolf. Black Panther is one of Marvel's pay-attention titles still, although maybe doesn't generate the same excitement in its reality that its promise did. Few comics do these days. I'd look at the Iron Fist comic; I don't think that's a well-developed character and treating him as one is probably the great sin of the TV show and a contributor to how that has been mostly poorly received. Maybe this one figures it out in a way that will communicate beyonds its likely modest readership. I'm looking forward to catching up with this series collection from Brandon Graham and Marian Churchland. That seemed to come out excruciatingly slowly at first and then in a rush at the end -- not my favorite serial reading strategy. It looks pretty, and Graham is one of the dozen cartoonist of this historical moment. Best series by a major manga artist with a new volume out this month, at least as far as I could tell. This Manuele Fior book is both relationship drama and science fiction: the aliens-contacting-earth elements are played for their role is startling and changing the view of those who experience it, or that must come to some sort of reckoning with their reality. Fior's world is reich enough to have stood on its own without the extra element, which I think is part of the point. There's a lot of expressive, pretty cartooning here. The re-offering and re-soliciting for this admirable series continues. 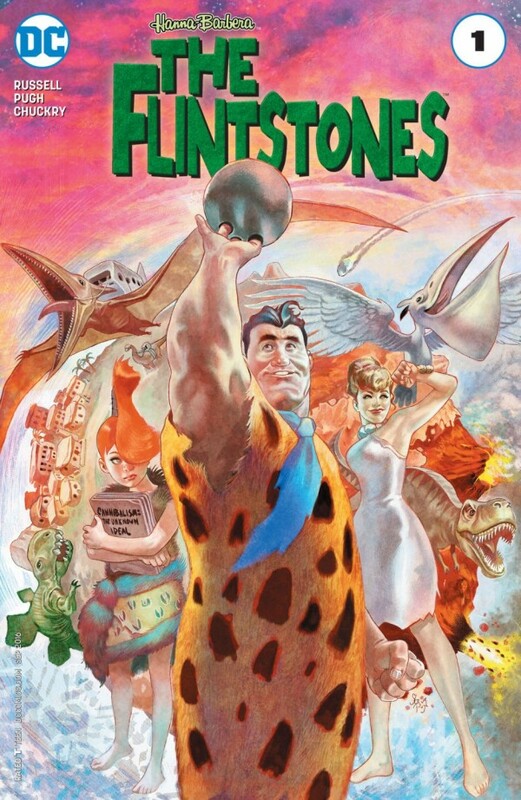 And then here we are with a Flintstones book, on a week when I think a lot of fans will feel freed up to buy it. The price point is interesting to me, as I bet they could have done some solid work expanding the series critical praise into a wider readership with a "Less Then $10" strategy. But they don't pay me to make decisions like that at a big comics company and there's nothing duller than a backseat publisher. As for the work? Yes, it's true: that's a pretty amusing comic book, and something about its approach to satire works to generate humor despite everything in your brain telling you it shouldn't. The comic book issues have worked as standalone stories if you want to sample.